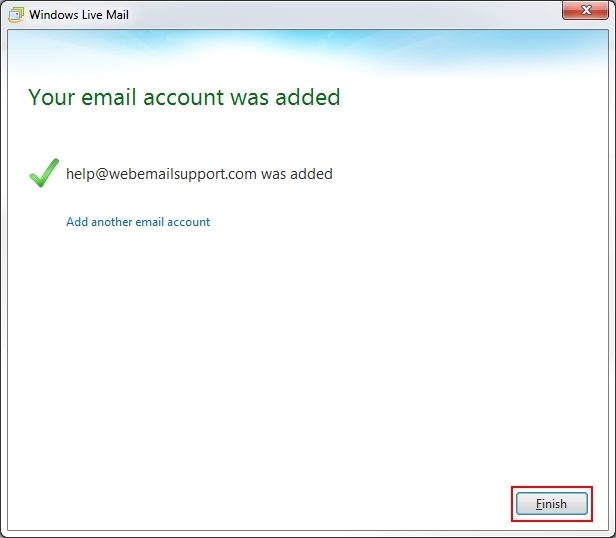 Windows Live Mail is typically not included with Windows 7 and must be added as a separate download. Click here to download the Windows Essentials download pack, which includes Windows Live Mail. 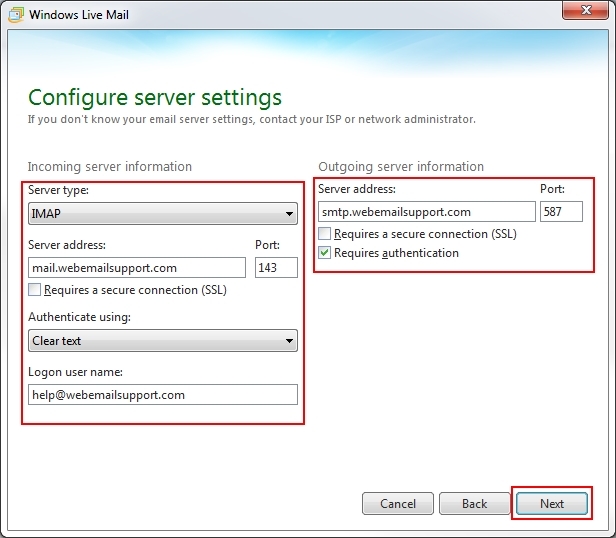 In order to complete the steps below, you must first download and install Windows Live Mail. The setup instructions below will assume you have done that have already opened the program. 1. Open Windows Live Mail. Upon Launch, you will be prompted to add your Email Account. 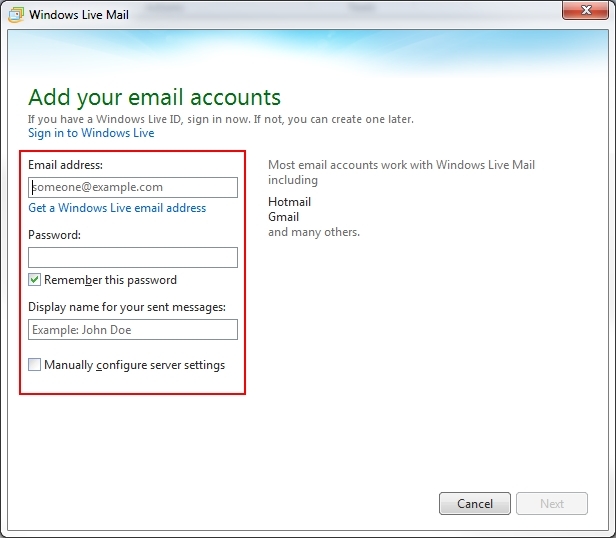 If you already have an account configured, you can launch Windows Live Mail and select Accounts > Email. 2. Complete the following fields. Then click Next to continue. Email Address Your full email address. Display Name Enter the name you would like to be displayed in the from field when somebody receives your email. 3. From the Configure server settings panel, enter all necessary information. Then click Next. Port This will fill in automatically, but if it does not, use 110 for POP3 and 143 for IMAP. Logon username Your full email address of the email box that you are currently setting up. 4. Click Finish to complete the process. Your email account is now set up. You may begin using Windows Live Mail.